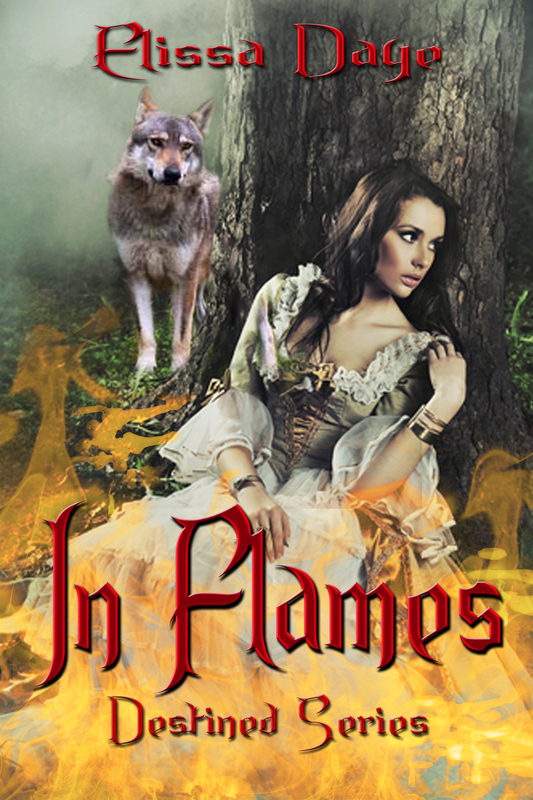 Today I’m welcoming Elissa Daye, author of In Flames and In Rapture. Thank you for stopping by, Elissa! Ever since childhood, Elissa Daye has enjoyed reading stories as an escape from life. When she was a teenager she started to write her own stories that kept her entertained when she ran out of books to read. When she was accepted into Illinois Summer School for the Arts in her Junior year of High School, she knew she wanted to become a writer. Elissa graduated from Illinois State University in December 1999 with a Bachelor of Science in Elementary Education and began her teaching career, hoping to find moments to write in her free time. After seven years of teaching, Elissa decided to focus on her writing and made the decision to put her teaching years behind her so that she could create the stories she had always dreamed of. She is now happily married and a stay at home mom, who writes in every spare moment she can find, doing her best to master the art of multitasking to get everything accomplished. are you more of a seat of your pants type of a writer? For me sometimes it seems that an outline is how I intend to start. I will create chapters with scene blockings and everything, but my muse tends to distract me. It does help to have an idea where you are going, but for me it is nice to be able to say let it go where it wants to go. What really seems to work for me is to think about where I am going next right before I go to sleep, especially since it takes me forever to unwind before I sleep anyway. My mind is always on overdrive it seems. 2. Who is the one author that you would love to meet someday and why? I would love to meet JK Rowling. Her ability to create a whole new world from her own imagination astounds me. And the best part is, that you do not have to be a child to appreciate it. I also appreciate the fact that while her Harry Potter series was written for children that she never felt the need to dumb down her writing and has actually accelerated vocabulary in many kids. Someday I may dabble in young adult or even children’s books too and I can only hope to be half as creative as she is. 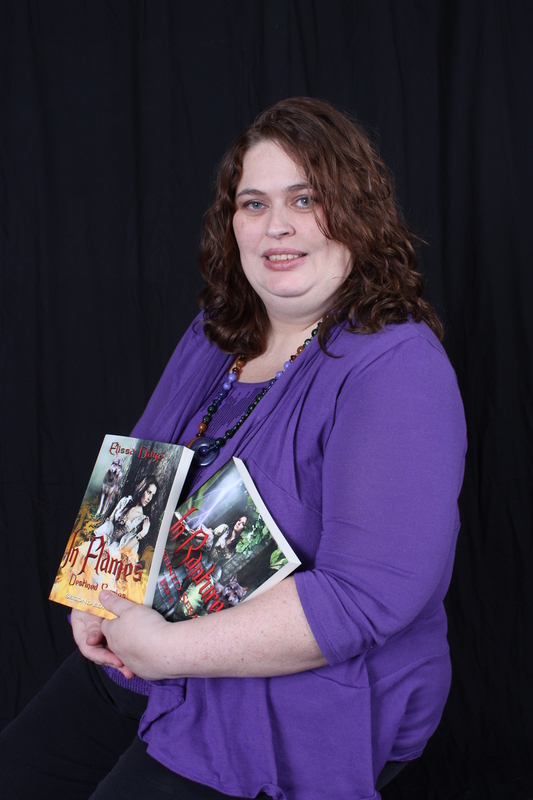 For right now, I am happy writing paranormal romances. 3. How did you come with the idea for your current story? I would have to say that the first two books of the Destined Series seemed to write themselves. It started with a series of scenes in my head, things that weren’t necessarily linked together into one story. When I finally wrote those scenes out they started to take on a much bigger idea of a world with strong women faces difficult circumstances to become the backbone of salvation. Surround these with a steamy romance that not only boils the blood, but wraps every emotion you have around your heart, throw in some destiny and voila you have the first two books: In Flames and In Rapture. 4. How do you spend your free time? Do you have a favorite place to go and unwind? I spend my free time with my children. I am a stay at home mom to two precious little girls. I enjoy teaching them about the world around us and watching them grow into beautiful intelligent little people. I like to curl up with my oldest and read books with her as we cuddle. It’s the best feeling in the world. 5. How did your life as a writer begin? I have been writing for a very long time. I have never written professionally before though. When I was a child, I loved reading and escaping into other worlds. My favorite books when I was a child were written by C.S. Lewis, Judy Blume, and Jean Craighead George. I very much wanted to live on my own and survive in the forest. When I was in third grade I wrote a fanfiction story for Highlights Magazine, but it was never published. The title was Superfudge Junior, and you can probably guess it was all about Farley Drexel Junior and how he was very much like his father as a child. I did not understand copyright infringement at the time, which is why I think they never responded to my inquiry. From there I continued to write more poetry. I remember when my mom attended a parent teacher conference for 8th grade. My English teacher told her how impressed she was with my writing and told her that I wrote like a 20 year old. It was the best compliment I had ever received at the time and it made me want to do even better. When I entered high school I started writing short stories, mostly for school assignments. By the time I was a junior in high school, my English teacher encouraged me to enter for a chance to attend the Illinois Summer School for the Arts. At that point in time I had already been writing longer short stories, one of them being a ghost story, which I entered as an example of my writing. I won a scholarship to attend the two week summer camp and had the time of my life. I decided from then on that I wanted to be a writer. The funny thing is that I had such a logical head on my shoulders and decided since writing was not a guarantee that I had to have a profession to fall back on. So I attended Illinois State University and got a Bachelor’s Degree in Elementary Education. I became a teacher, who put everything I had into my work and had very little left over to work on the book that I had started when I was in college. When I was finally able to quit teaching, my writing became my focus again. 6. What do you have in store next for your readers? I am currently working on book 3 in the Destined Series, In Chains. I am about ¼ of the way through it, but I do not want to rush it. This will most likely wrap up the series and there are quite a few things I want to do with it, so it may take me longer to complete. In the meantime, Guardians of the Watch Tower: The Shadows has been sent off to my betas for editing. As soon as I get that book back I will be sending it in to my publisher. The Shadows is an urban paranormal romance inspired by some people and places that actually exist. The world is overrun with shadows that feed on the people’s despair and only the Guardians of the Watch Tower can help find a way to defeat them. While the Destined Series is set around the passion of the women of Lena, this book is more of an emotional ride. Don’t get me wrong, it is a steamy read, but there is so much more to the love between the two main characters Lyssa and Hunter. A cursed lineage. A secret magic. A destiny that neither one of them could have predicted. When Elkliss Keep is rampaged by her sinister Uncle Simeon, Lysandra lost everything she had ever known or loved within a heartbeat. Destiny catapults her into a life she could never have foreseen; a life filled with an unquenchable desire for a man, whose aloof people harbor a secret almost as dangerous as her own. When Aiden first sets eyes on Lysandra, the beast inside will not be fulfilled until he possesses her. He soon he realizes that Lysandra could be the one true mate that would make his cursed life easier to live. Two hearts frozen in time, fighting against insurmountable odds. Both were determined to survive their haunted pasts. When Malinda has no choice, but to leave her childhood home, she finds herself matched with the one man who holds the power to break her resolve to never let love cross her path. Destiny sends her down a path that unlocks the mysteries of Lena. While Grant wants nothing more than to continue his unhindered revenge against the werewolves of the Lair, guilt consumes him. He could no longer ignore his duties. His daughter needed a mother.